Building a home is a collaborative project. If you’re looking to build a new home, timeframes are probably one of your first considerations. According to industry experts, the average Australian house takes from four to 12 months to build, but it’s important to note that factors such as the complexity of the project, land and the detail of the floorplan will all affect the timeframe. Of course, the amount of time it takes to build a home also depends on the type of house you’re building – whether it’s a manufactured home, project home, architecturally designed or custom home. Before proceeding it’s important to understand the home building process and what’s involved. 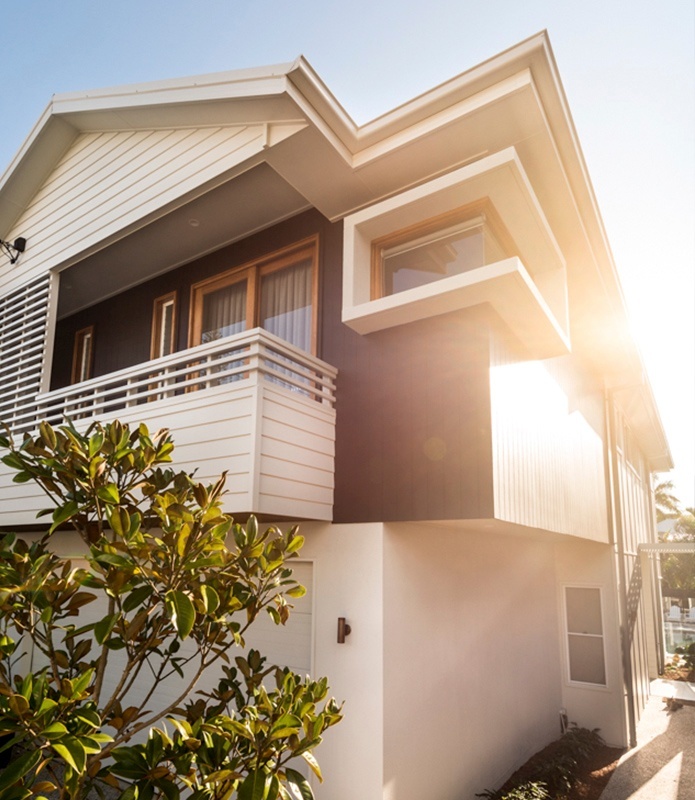 We’ve mapped out a typical construction timeline for building a house in Brisbane with Kalka and have a more detailed building process brochure available for download. We’ve also noted the most common factors influencing construction timelines below. There are a number of documents, approvals and permits required before construction can commence. The home’s lot must also be prepared, which often includes clearing trees, rocks and other items, as well as levelling the pad. The amount of earthworks required will depend on the type of block you have. Obtaining the official approvals and building permits and inspections will also impact the building process. A contributing factor to construction timeframes is the required trades and availability of subcontractors such as carpenters, electricians and plumbers. To combat the impact trade availability can have on construction timeframes Kalka works with a select group of regular trades, which minimises any delays during the build. Changes to plans will often extend the build timeframe – particularly if they occur in the latter part of the build process. As mentioned earlier, the style of your home will also influence the time it takes to build. Custom-built homes average 10 – 16 months, while project home builders will take an average of four to six months. Understanding stamp duty: what is it and how much does it cost?